Often when we have a prolonged struggle our tendency is to get upset with those around us. In churches, that frustration often gets directed toward those who preach and teach. The reality is no one – regardless of how strong their gift of teaching or keen their insights into the human condition – can be more practical than we are honest. This is not an indictment on their ability to teach, but on our ability to receive. Consider it this way, when we have not disclosed a life struggle, that struggle is a secret. Secrets haunt every social interaction. “I need to talk to you about something.” Oh no, do they know? “I want you to know how much I appreciate you.” You wouldn’t if you knew. “I admire the way you handled that.” I’m such a hypocrite. “Is there anything I can pray for you about, anything you’re struggling with?” Why do they keep interrogating me? Do you notice what happened in each of these interactions? Affirmation and encouragement were undermined. Genuine concerns was interpreted through a lens of mistrust and become interrogation. Imagine if every interaction of spiritual instruction or encouragement you received was interpreted through this kind of lens. Can you see how quickly the preacher-teacher would be viewed as impractical? You would create the habit of dismissing what they say because of their ignorance of your struggle. You would feel very unknown by them and begin to view their instruction of you as prideful or pretentious. You would fear being known by them because it would not only reveal your struggle, but also how long you’ve been hiding. How would you ever view the instruction this pastor or teacher provider as practical? What is the difference between the instruction in my counseling office and a good pastor delivering a sermon? Yes, it may be more tailored to the individual, but the greatest difference is the level of honesty from the counselee to me which allows the instruction being provided to be received differently. So, what does this mean for you? It means at least two things. First, you need to be self-aware. If you are not acknowledging the breadth and depth of the problem to yourself you will be unable to be honest with someone else. Scripture often talks about how much our hearts resist being self-aware (Jer. 17:9; James 1:8). Until we have the courage to be self-aware we will take any practical instruction from someone else as offensive speech instead of kind words of aid. Second, you need to be vulnerable. Being honest with a small group leader or accountability partner will radically change how you hear a sermon or Bible study. When you’ve acknowledged the truth about yourself you will be in a position to receive the implications of truth of Scripture. 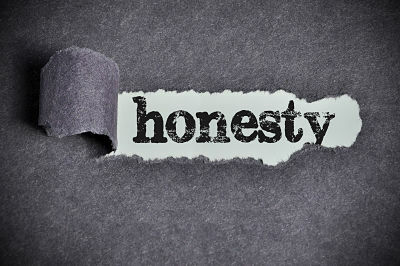 Until you are honest about yourself you will find a reason to discredit the implications of Scripture for your life. So here is a social experiment. If you feel like the preaching and teaching of your church is not as practical as it should be, before you start listening to podcasts of a sermon from another church, begin being honest about the area of struggle you need practical instruction on with a trusted Christian friend. Be as honest as you want your pastor to be practical. See if your pastor’s message doesn’t become much more practical when you’re discussing it with someone who really knows you. This post was originally published at Covenant Eyes on April 12, 2017.